Fujitsu ScanSnap On Windows 10 - Your Experience? Fujitsu ScanSnap On Windows 10 – Your Experience? >> Fujitsu ScanSnap On Windows 10 – Your Experience? If you’re a Windows user, you can’t have missed the fact that Windows 10 is now out. How does the ScanSnap work with it? Whenever a new version of an operating system is released, I put up a post to collect experiences and resources for the ScanSnap. If you’ve made the Windows 10 upgrade, please leave a comment below with how it is working out for you. According to Fujitsu, all modern versions of the ScanSnap will be supported. A driver upgrade may be required, but at the time of writing it has not been released yet. Fujitsu says it’ll hopefully be out “mid-August”. Update 09/02/2015: It appears that the driver was released on August 31. See below for updating instructions. If you have a ScanSnap iX500, iX100, SV600, S1500/M, S1300/S1300i, or S1100/S1100i the best way to go is to do an online update. Right-click on the ScanSnap icon in the Notification Area down in the bottom right. ScanSnap iX500: Supported. See this page for instructions and this page for software. ScanSnap iX100: Supported. See this page for instructions and this page for software. ScanSnap SV600: Supported. See this page for instructions and this page for software. ScanSnap S1300/S1300i: Supported. See this page for instructions and this page for software. ScanSnap S1100/S1100i: Supported. See this page for instructions and this page for software. ScanSnap S1500/S1500M: Supported. See this page for instructions and this page for software. ScanSnap S300: Not Supported. See this page. ScanSnap S510: Not Supported. See this page, although this person got it to work. So, how is your ScanSnap and related software working on Windows 10? I’d appreciate it if you left a comment either way. I’ll update this post as new information becomes available. I haven’t read every comment, but it looks like neither Windows nor Scansnap cares about us having to reinstall Scansnap every time we use it. I loved my ix500 scanner so much that I bought one for my niece. Now I’ll never buy another one again, ever. Same problem here. Any suggestions to avoid a restart are much appreciated. Nifty trick for those with Windows 10 and with an older model Fujitsu like the S1500 (or older models like S1300). Use Revo Uninstaller to remove every trace of original ScanSnap Manager (registry keys, the works, etc.). Download and install the xi500 software with default locations (yup! use the totally unrelated newer xi500 software) and then do the online update. Reboot. Hook up your S1500 via USB and power it on. Then, once the ScanSnap Manager light turns blue (in the Windows 10 taskbar caret menu), right click and choose “ScanSnap Folder Settings.” Go to the first tab and choose “ScanSnap Folder” as the application. Then, on the second tab, set the image save path as “C:\ProgramData\PFU” Enjoy a fully functional scanner! Holy Crap! I’ve been messing around with this for a couple of days now. Thank you for the trick. Worked like a charm. I’ll let you know if I have further issues. Trying to install an xi500 on a Windows 10 domain PC. In the past, I have just run the software and it worked. When I run now, when it gets the the dialog box that says “updating software,” I get “cannot connect to server.” The installation just stops there. The system is behind a firewall. I do not contro l what is blocked. Looking for an EXE that is already updated so it does not have to update itself. This same issue that I had turned out to be I was scanning to a shared folder. As soon as I told the scanner to Save the scans to a regular folder the issue went away. I’ve used the snap scan for a couple of years with no problems at all with Windows 10. I use a direct to computer USB port. As of today, it won’t scan. Sigh… The blue icon is on. I just get a message that “another application is using the scanner”. I’m by myself – no networked computers or anything. I have no idea what to do! I am running on windows 10 for some time. Lately when I scan to folder, and give it a name and hit ok, it takes a long time to come back to allow another scan sometimes more than a minute. The CPU registers on task Manager is around 50%. Finally it drops down in cpu and the pressing the scan on the x500 finally works. Since the file has been saved to the folder, there should be no work to do. What is it doing? Is there some option to uncheck? P.S. tried update but it shows software up to date. Note OC R is not checked. Constant issues with ScanSnaps & Win10 (clean install not an upgrade). At least monthly we have to uninstall and re-install everything related to the scanner to restore connection and operation. This is on several PCs not just one. It’s a great scanner but it’s a HUGE time consuming mess to keep them working consistently. Updated versions of everything never seem to make any difference. S1500 and ix500 both suffer from this. I solved my Scan Snap problem by installing it on an older desktop on my network running Win7. I gave up on trying to use it with my Win10 workstation.. End of problem, but less convenient. Having similar issues with my Scansnap ix500. Have uninstalled and reinstalled software/drivers but my Windows 10 computer will no longer find the Scansnap. The scansnap icon remains grayed out indicating it is not ready. Is Fujitsu addressing this issue? My wife uses her ix500 on windows 10 and almost every time she goes to use it, I have to uninstall and reinstall it. This has been going on for about 2 years. As a result I will never buy another Fujitsu product again. Scansnap S1500 Windows 10 Msg on pc when plugging in Scansnap S1500 is driver not found then the light on the scanner goes off. Performed a clean install of latest Scansnap software. Issue not resolved. Will review the comments from other on this site. The issue I encountered has been resolved. Re-installed software a couple of times. Also found that the S1500 needs to be plugged into one of the Thunderbolt ports on the laptop. The scanner would not work when connected to a non-Thunderbolt port. Based on comments from others, I may need to repeat the software install process after a period of time. Time will tell. All software downloaded from http://scansnap.fujitsu.com/global/dl/ June 2018. I was getting this error above as described no matter what I tried re: uninstalling / forcing folder names & locations / enabling access to AppData folder / etc. Noted above the mention of Bitdefender *but in no way was I going to uninstall the product. 1) Bitdefender > ‘Shield’ (on left hand vertical menu = ‘Protection’) > View Features > Application Access. 2) I could then see the list of ScanSnap applications that were running and consequently blocked by Bitdefender. 3) I ‘Allowed’ all related applications > Attempted ScanSnap again = error disappeared = scanning didn’t *quite complete successfully > Returned to Bitdefender as above > ‘Allowed’ other related ScanSnap applications that were now present > Attempted scanning again = hey presto, all resolved. I can only speculate if you are running another AV, perhaps there will be a similar ‘Application Protection’ feature running? and if so, find it and follow your nose as above. With this identified, it should now be a 5 minute job. Hope this helps someone out 🙂 – AB. Thanks SO MUCH. BitDefender was doing this to me. Your message helped me solve it! BRILLIANT. Thanks again! You are a legend for taking the time to put this info here Adam, I was becoming deranged. Problem solved. Hurrah! I have been trying to get it to work for many hours now and it keeps giving me the error “The specified destination (Image saving folder) is invalid.” Except that there is no clue about how to specify that folder. It used to work fine for me. After changing a bunch of settings with the Scan Snap phone help it worked great for two months. Now I can’t get it to work again in June 2018. It shouldn’t be that hard. I don’t want to be an IT guy every few months that this now crap scanner has an issue. I deal with my Windows 10 updates screwing up my ScanSnap, sadly, by putting it on a secondary computer still running Win 7. I strongly believe that I should not have to do this. Every time I got it fixed by playing IT guru reloading drivers or setting permissions, the next MS update whacked it again. I got very tired of this. Other than this we love our two ScanSnaps. I also kept getting the error message, “The specified destination (image saving folder) is invalid”. I’m using Windows 10. After a painful hour of troubleshooting, it turned out to be Windows 10’s Ransomware protection. Under Controlled folder access, toggle to Off. Note: I tried to keep this feature on and put applications on the allow list, but to no avail. I’ll have to switch it on and off if I want protection AND be able to use the scanner and certain other applications that are also blocked. Thanks guys, the “Image saving folder” error came up right after I upgraded the software for Windows 10. I thought at first the ransomware was encountering a virus so I did not want to toggle off. This gives me peace of mind that it is not the case, though at some point I will want to switch it back on. So what is the solution? I started having problems with Organizer a while back…maybe 8-9 months ago. 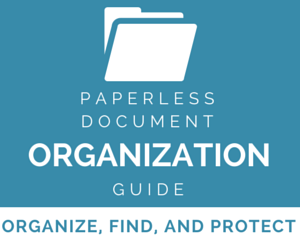 Scanned documents wouldn’t move to a particular designated file. I called technical support and he told me to uninstall and reinstall. I did that and, again, the documents wouldn’t move to my designated file PLUS I then couldn’t delete the scanned item. I decided to uninstall and reinstall again. Now, nothing works. Organizer won’t install properly at all. I got a message I needed to install a particular version first…but…the version suggested isn’t available on Fijutsu’s web site. At least I got Manager working and can tell it where I want something filed. I give up!!! Anyway – I saw the path mentioned below: “C:\Users\UserName\AppData\Local\PFU\SSFolderTemp” which i believe is the right folder. You can’t select any folder because i think it requires it to have a Log subdirectory or something. Anyway, i could not select this folder as it wasn’t visible in the folder viewer. I fixed by making my AppData folder non-hidden in file explorer. I was then able to select the folder in both the button scan settings and folder scan settings. and was then able to scan. Hope this helps folk who encounter it. Voila, icon blue again! As a bonus I perceive the OCR processing to be much faster now. This scanner has been working fine for about a year now , but starting April 13th I have been unable to scan things unless it is connected to my computer via USB. I tried resetting the network connection and restoring the scansnap software, and on both my computer and the scansnap it says it’s ready to scan, but when I push the blue scan button it just blinks and does not feed the paper through. Any ideas? But the program doesn’t run at startup. I went to the task manager and clicked the startup tab. Disabled scansanap manager. Then created a delayed startup 1 min after logon, following this example: https://superuser.com/questions/1180094/putting-a-delay-time-in-the-automatic-startup-of-certain-application-when-the-co. If that doesn’t work, I’ll come back and report. Bottom line is, if the things already said don’t work for you, try starting scansnap manager in admin mode by right -clicking it. I meant don’t right-click icon in tray at lower right. Sorry about that. The tweak I used for a delayed autostart did work for me. Not sure why changing it to automatic run as admin needs that tweak. But anyway, things are good again. Hope this helps someone. Everyone having issues with Wind 10 needs to go to the Fujitsu website and download the latest ScanSnap Manager software (and whatever other components you might have installed). As Microsoft makes changes to Windows 10, you need to also update ScanSnap Manager and drivers to take advantage of fixes and incompatibility issues, etc. Been using an ix500 with Windows 10 for almost ten months no issue, love it. Suddenly today the software is running super slow and laggy. Everything on this product used to work instantly – e.g., hit the blue button, boom it scans. Right click on the task bar icon and scan from there, boom no problems. Now there is a huge delay/lag in everything. Uninstall/reinstall did not seem to work. Could this be a port issue? Any advice? To those of you who experience a problem similar to mine, I solved it with the help of Fujitsu support, who was very good I have to say. Turned out to be my antivirus software, which was Bitdefender. After trying many many different fixes with no success, I uninstalled Bitdefender and the problem instantly resolved and all was back to normal. I had been running Bitdefender the entire time I had this scanner with no issues, but all of a sudden it started to interfere. Probably started with the latest update. Thanks to Fujitsu support guy Kenny, he was great. I have the same issues – this is insane. The coders at scan snap are obviously 6 years old as people have been complaining about this for years. Someone needs to get this application to be DPI compliant – this is a nightmare – basically unusable. Trying to override DPI issues in compatibility mode but barely working. This is a modern device and should be written in a way where compatibility mode is NOT required. Please fix or address. You would think for the price of the scanner and the issues people have using it with windows 10 someone at Fujitsu would be able to come up with a solution. They should rename it ScanCrap ix500 and refund the money as I have a very expensive black box with a light on the front that does nothing else. I purchased a s1300i scanner to use with my windows 10 desktop. I was excited to finally scan and file many many papers into my computer. I have spent 9 hours trying to load and get it to work and I am trying again today. I am going to try and get in touch with support but I am not expecting much. I don’t want to be a software manager or computer expert, I just want to use the program. I am going to try their trade in program offered or see this on ebay and then do better research to buy another brand. I bought this scanner about two years ago. Was completely awesome until some time in the past several months when it started disconnecting. I don’t know how to get it to connect. I called Fujitsu support and they got it connected but I don’t really understand what they did and I don’t know how to get it connected on my own. Right now I need it to connect and it’s 830PM so I don’t believe Fujitsu support is available. So this has been kind of a bummer. If I find out that Fujitsu is doing this on purpose as planned obsolescence I will never buy another Fujitsu. Otherwise I might upgrade to another Fujitsu. I would prefer to just get this f****g thing working again. Was my pride and joy. I have scanned tens of thousands of pages with it. Am surprised there are not more work-arounds online, because this must be happening to other people. Windows 10, HP 360 Spectre. Been using Windows 10 for a few years and rarely a problem. Lately, it constantly disconnect. Getting it to work is rarely a quick fix. I’m considering a new scanner and not a Fujitsu. Endless struggle with the ScanSnap S1100i. It works for a few scans then gives a connection error. I have tried all of the tricks in this tread and others. Firewall bypass, restart, connection tool (its says the connection is fine but I still get error0x 80004005!! ), uninstall/reinstall, update, permissions in WIA, …. what a waste of my time. If I can’t scan quickly this scanner is useless. Need to buy some other brand that actually works with Windows 10 Pro. Too bad since I have been using a Scan Snap for over 5 years and was recommending them up til now. I have to uninstall and reinstall every time I use the scanner. Since Win10 Pro (64bit) Fall Update (1709) my S510 is not working properly. Regular scans with “save to folder” are working fine but when using scan to email (important for me) I receive the error code 0x0002 that it cannot be forwarded to email. I already have updated to the lastest driver/scansnap manager for S510 as well as for ix500 which in general works fine but produces the same error. Just repair the installation of Microsoft Office with appwiz.cpl. After that everything works fine again. I had the same issue with the destination folder using Windows 10. I used the File Explorer Option to locate the folder and then checked the properties. It was marked as “Read Only.” I unchecked the box and hit Apply. So far, it’s working. Fujitsu ScanSnap IX500, I loved it using it with Win 7, but now with Windows 10, and newest SnapScan Manager, I have issues with the SnapScan Manager each time Win 10 updates, and sometimes with other software updates. Normally I do not like to use any of the fancy software that comes with this scanner. I just want to save .jpg images or PDF, and I want them to go direct to the folder I want to save them too. But after an update to Windows my settings for the folder seems to get all goofed up. Then when I try to save a PDF, I get this message: “The specified destination (Image saving folder) is invalid”. I right-clicked my “SnapScan Manager”, picked “SnapScan Folder Settings…”, under the Save tab I have the path to my folder correct, put a year in the File Name Format, which I will add more info to file name in the save window later, hit Apply button, then Save button. Push the button on my scanner to scan, then get that dreaded invalid window. Deleting and re-entering the app sometimes fixes the problem, but sometimes it does not help. Today though, after another Windows update a few days ago, I wanted to use the scanner and there is that dreaded invalid window again. The folder was correct as above. But looked at all my settings and founld some changes. One I notice was on “left-click” “Profile” settings, my “Standard” option was not picked, instead the checkmark was to “My Folder”, so I checked that back to “Standard”. Tried to scan, but still got the dreaded invalid message. Then I hunted some more and “right-clicked” the “SnapScan Manager” and then picked “Scan Button Settings”, and under the “Save” tab the path on that went to a drive I have not used since last year???? So, I went back to look under “right-click” “SnapScan Manager” to compare/see if that was the same or not, “SnapScan Folder Settings…”, and under the “Save” tab I confirmed there that the path to my folder I picked was still correct. Sooo, obviously there are two save folder options that are not the same in the SnapScan Manager! So, I went back to “right-clicked” the “SnapScan Manager” and then picked “Scan Button Settings”, and under the “Save” tab I changed that to the correct path to match the other section. Then the scanner opened the correct folder to save too, with no invalid window. This is a strange problem. I was getting the same error message after a window 10 update from last week ( October 2017). I tried everything including making new folders. ScanSnap would not work until I selected the scansnap folder as the location to save files. After I did this and scanned a document, the manager popped up as normal – and the file path showed my normal folder not the scansnap folder that had been saved using the scansnap manager settings. Odd. To save I had to give authorization as an admin- something I have never had to do. I would agree that windows 10 / scansnap manager is not working well. Plus my BitDefender also started to restrict access to folders like never before. Ugh. DOING THIS CHANGE CAUSED ANOTHER ERROR SO I COULD NOT SAVE MY DOCUMENT! FIX: Changed notifications on this message to NEVER notify me. Thanks to the 2 users that posted the starting information! I ran into more problems but this is how I fixed them. Check if the folder specified for [Image saving folder] in the [Save] tab of the ScanSnap setup window exists. If the folder is not found, create a new folder or specify another folder for [Image saving folder]. Also, make sure that you have write authority to the folder. If the problem persists, refer to the following to collect the system information, and contact your FUJITSU scanner dealer or an authorized FUJITSU scanner service provider. P.S, I also had to create a new folder even though the old one was in tact. This all started after I took down my pc to evacuate Irma. Same issue with my brand new iX500 on a Windows 10 laptop. Have you found a quick solution to this yet? not yet havent heard of a solution. It is very bothersome. Its a problem with new high Display laptops and there is apparently no solution for it. I bought a lenovo yoga which created the same issue , not only for Scansnap but for almost all softwares. Apparently , the only solution can come from Windows and god knows when that will be..
Any solution for this yet? Just tried to install old S1500 on my Lenovo Yoga, and same issue you had back in August. Can’t adjust any settings in scan-snap manager as the pop-up window is too small and cut off. I’ve never had a problem with the S1500 which I’ve used for several years. I needed a 2nd scanner so I got the ix500. BIG MISTAKE. It’s worked for about 6 months but now I can seem to keep it connected. I got an error saying another user is using it (NO THERE ISN’T!). I’ve shut off the wifi on it, uninstalled and reinstalled the software etc. I’ve run the Support Tool and I either get a “NOT CONNECTED” so I unplug and re-plug in the usb cable and the next time it says “THE DRIVER WAS REMOVED” argh!!! Now I can’t get it to connect (*^$#*+&%$ SCANSNAP! I have had the same issue for over a year. Fujitsu can’t figure it out. Resolves if I restart my computer but that is pain to do everytime i want to use the scanner. I just posted a very angry email on my frustration and then read your fix. Thanks! It worked. Thank you for this! I was ready to pitch a fit and now my scansnap has no problems! Thank you very much Daco. Your solution worked! Another windows update killed my scansnap connection. Daco’s solution worked again. Thanks thanks thanks! You are a godsend! Thank you! OMG!! THANK YOU!!!! 1000 Times Out of Nowhere I started getting getting this error and I just started working here in Feb…there was no “manual” no “box” no one to ask…so I Google it… and there YOU were. YOU are my HERO. Thank you! Note – restart just refers to restarting the service, not Windows itself (at least it worked for me). Right click and restart WIA service, make sure to restart the Scansnap Manager service as well by exiting the tray icon and then manually launching the program again. The icon may take up to a minute to reconnect to your ix500. Excellent fix, simple, no fuss. Daco, is there a drawback to having the log on for WIA set to Local System Account? Any incompatibilities with other, camera/scanner related programs, such as webcam or AIO printer software? Daco, YOU ARE THE BEST. Thank you so much! My S1300i was giving me hell and now it works like a dream. Thank you! After having problems with the ix500 driver & software failing to install, I did this, and it worked! I have therefore made a copy of these instructions in my Dropbox ‘Notes’ folder for future reference. Thank you. I could kiss you right now! thanks so much. I’m embarrassed to admit that I have wasted almost an entire day monkeying with my Fujitsu ScanSnap S300 & Windows 10. I don’t have funds for a new or even newer scanner so I had to make this one work …your solution did! Mahalo! Thank you Daco! I spent hours trying to resolve this issue. This worked! Yup, this solution worked like a charm. Thanks. on Windows 10. Scansnap initially worked great. Suddenly stopped and provides message to check for another user or application in use. Will no longer scan. Have uninstalled and re-installed driver 3 times. Nothing changes. Any suggestions. I am having the exact same issue in a 25 user office all on Windows 10. Windows still recognizes the scanner but the scan snap manager app crashes and won’t relaunch without a reboot. Minutes later an error will pop saying the scanner is in use by another program. Completely uninstalled, registry keys and all and reinstalled 3 times as well. Scansanp manager fails everyday. The exact same thing happened to me! It worked with my old laptop that had Windows 7, but after I downloaded scansnap drivers to my new laptop, I get the exact same message. VERY FRUSTRATING. Having wasted mandays due to repeated ‘unable to connect with scansnap due to an error in the program’s operating environment’ and usually with error code ‘(0x80004005)’ over past months with my scansnap s1300′ often with multiple reinstalls and messing around disconnecting and reconnecting cables, happy to report that after my second reinstall this morning ‘IT guys’ recommendation a few days ago (thanks) below worked – so definitely worth a try. I’m now up to well over 20 scansnap software reinstalls since purchasing this s1300i scanner a few years ago and while scanner great when it works, it is definitely the most unreliable time wasting software I have ever come across – buyers beware. Why can’t scansnap produce more reliable software or include trouble shooting instructions that work? I have the exact same problem and error message. Multiple reinstalls. Still not fixed!! My Scansnap ix500 has never worked properly on Windows10 although I have tried to solve the problem on many an occasion. However I have now given up. It is so slow I have reverted to using my Epson flat be scanner ‘cos it’s quicker than waiting for the ix500 to warm up (maybe) produce menu (maybe) and then probably not produce the file in Organiser anyway. I have read with interest some of the suggestions on this site, but why should a so called quality piece of equipment require such tinkerings? For me, a very frustrating poor piece of equipment that I would not recommend to anyone. Have you talked to Fujitsu support about this? 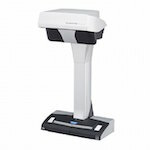 We have several ScanSnap ix500 scanners at the office that work beautifully. HOWEVER, I also have one at home, attached to a computer that I share with my wife (each of us having our own account for Windows 10). I always get the message about the ScanSnap being in use by another user or application!!! It drives me nuts because the only way I can recover it by rebooting the computer. (I have tried all the hints posted online about disconnecting, moving to another USB port, etc. ) Nothing helps but a reboot. I’m pretty sure it attaches to whoever logs in first after a reboot. But it should just work for whichever user is currently active. My wife never even uses it. I suppose there must be a lock file somewhere?? HELP!! I have this exact same problem. I use (and love) my ScanSnap on a work computer, where I don’t have multiple users set up. It’s so frustrating! Try the following steps if your ScanSnap icon in the taskbar does not activate. 2. Close the lid of your ScanSnap so that it is not active. 4. After the desktop loads, connect the USB cable to a completely different USB port on the PC. Even if you have to switch it with another device, please be sure that it is a completely different port. 5. Open the lid of the ScanSnap. This should start the driver installation. Once it is complete, the ScanSnap icon should show as active so you can start scanning. I do hope this helps a lot of people. If your S1500 stops working all of a sudden, definitely clear your temp file, cookies, and the recycle bin. 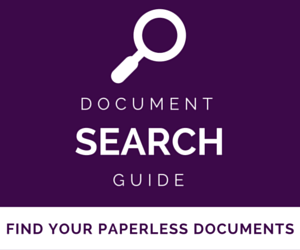 It looks like every time you scan and rename the document, a copy with the old name is being sent to recycle. I had 21k worth of documents out there. My scan snap stopped working and would not connect nor would Windows10 recognize its existence. After dumping the temp file and recycle bin, I powered down, unplugged and replugged the S1500 into the CPU and repowered. Came on fine and is working normally (so far.) Interestingly, this issue manifested itself after last nights latest upgrade came through for Windows-10. Coincidence???? Since one week or so I am spending 1-2 hours per day to get that bloody thing (S1500) running under Windows 10. The scanner served me well for a couple of years, but now I have reached the point where my psychic health is more worth than my pocket…! I will dump that device and buy another one – but for sure another brand! I’m having the same experience, though I had similar problems with the previous Windows nightmare. I’ve had the same problems I’m reading here and was equally as frustrated, but I’m hoping I found the solution. I have a ScanSnap ix500 connected hard wire and wifi to a Lenovo Yoga. Got both recently. When I first hooked up the ScanSnap it worked beautifully as soon as I pressed the blue button. I scanned for hours and closed everything up. The next day I opened everything just as I did the day before but no matter how many times I pressed the lighted blue button, it refused to respond. Blinked and went steady with no sound or life inside. I unplugged the power to both, rebooted, thought it was the order in which I did it so changed the order. I’ve been running into issues with a couple computers at work connected to a iX500 and S1300i on Windows 10. They will randomly disconnect and nothing works except for reinstalling the Scan Manager. When we were on 8.1 Pro we didn’t have any issues. Anybody have any tips or solutions? The infamous Windows 10 update has been installed and my Scansnap won’t communicate with the computer. I get error code 0x80004005. Have uninstalled and re-installed the software being careful to follow instructions exactly. Have unplugged the scanner and the USB multiple times. Scanner light flashes blue – won’t work beyond that. Help, please…. I have exactly the same problem but no solution yet. When I pressed the blue button on my xi500 to scan a paper, the button started flashing and I got an error message that another user or application was using the xi500. This was not the case. I removed the ScanSnap manager thinking that was the problem and it would reinstall. But that did not work. 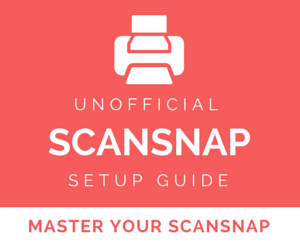 Should I uninstall ScanSnap and reinstall it? If so, does it reinstall automatically if I unconnect ScanSnap and reconnect it to my comptuter? If it does not reinstall automatically, what do I do? I very much need help with this. Also, will reinstalling fix the problem with the blue button flashing? I currently have a fujitsu scansnap s1500. Ever since the windows 10 update, I have had on a consistent basis problems where it failed to connect. The blue scansnap icon that should be displayed without a crossed-out mark is always deciding to stay that way. 95% of the time this has worked for me. Other 5% of problems I’ve had and after speaking with a fujitsu tech support, recommended me this. 1. If the first solution fails to work, try disconnecting the usb cable to the desktop. See if there’s any dust accumulation. If so, clear it out and reconnect the usb cable. 2. clear out your in the %temp% folder. In your windows screen, type it into your finder. If there are a lot of items in the folder (in my case it was >1600) it can interfere with the scansnap. 3. Empty your recycle bin, restart computer, and restart scansnap manager. Hopefully these solutions work for you guys. For me, scansnap is consistently deciding not to work on an everyday basis. This has been a problem since the windows 10 update and the scansnap updates have not alleviated the problem at all. My wife and I both have S1500 scanners that we love dearly. We use them frequently. They worked fine with our identical Precision T5400 workstations running Win7, they continued to work fine after we gingerly upgraded to Windows 10 shortly before the end of the free upgrade period. Today, they both quit working. Coincidence? I think not. I have read through the discussion here and have tried some of the possible fixes including uninstalling and re-installing the snap scan software, etc. All to no avail. I am not a computer novice. This is getting frustrating. My fall back is to install one of them on a Windows 7 machine here, but that is inconvenient for the way we use them and, besides it galls me. I may try calling Fujitsu support, but their hours are not convenient for a few days. Have you got a cat? Check your cables…. My cat bites through every cable I have. I reloaded the Scansnap manager once and got it working, but now it’s back with the same issue. Seems that there is something that is not compatable with Windows 10 in the Scansnap software. The troubleshooting steps do no good either. I am wasting hours of time trying to get a document scanned that needs to be sent off. How frustrating. So much for those promises from Microsoft that all your software will work under Windows 10, prompting you to upgrade! I’m looking at reloading the software again, but that fix did not last the last time I did it. I feel your pain. Until a few weeks my ix500 has been working fine with Windows 10 that I installed last fall. But now I’ve also been getting the “Could not use the ScanSnap. Make sure that ScanSnap is not being used by another user or application, and then try again” message. Re-installing ScanSnap Manager, which I’ve had to do twice now, seemed to be the only way to make it go away. Well, this afternoon I deleted my Windows temporary files and I was able to scan! I’m not sure if it was coincidence or not, but you might want to try it and see if the problem goes away for you too. Byron–thank you so much. Deleting the temp files solved the problem for me! I just posted above on the same problem. How did you reload the Scansnap manager? I deleted the Scansnap manager thinking it would reload when I reconnected my ix500 to my computer. But this did not happen. After installing Windows 10 I am having a problem with duplicate files. I am scanning documents to a folder and they have the same name. When I do this I get a message saying “The destination already has a file named “this”. I then have to click “compare info for both files” then select both versions and it will number the file and add it to the folder. When I had windows 7 it would automatically be renamed with a number after the file name. Is there a setting in Windows or Scansnap to fix this? I know this is not a huge issue but it has added a step to scanning these forms and it’s kind of a pain when you have hundreds of these to do. That’s really odd. On the Save tab for ScanSnap Manager when you hit the File Name Format button what do you have it set to? It is set as yyyy_MM_dd_HH_mm_ss. I think I need to clarify that I rename that file and drag it to a folder. I use this method to save purchase orders with the same job name. It worked really well before with windows 7. It would just number them as I scanned them. Scansnap 1500S w ver 5.5 L10. Doesn’t connect consistently after updating to Win 10; unplugging, restarting doesn’t always work and I’m currently unable to connect. When I try using the recovery option in the Support Tools I get an “abnormal operating environment” error. Has anyone had issues when using scan to email with office 2016? The scanner works like it supposed to when attaching the pdf file, but when you type something in the body, it doesn’t send what you typed. It just sends the attachment but nothing else. Microsoft said its a third party issue (Scansnap Manager). Did they tell you how to fix it? I am having the same problems. Please help I’m having the same problem. Scan to Email does not work I have Office ProPlus through school and I’ve been searching all day for a solution. I don’t have another full day to keep this up!! I need my 500 dollar scanner to do what it’s supposed to! I tried everything on this forum go get my ScanSnap S1500 working after upgrading from Windows 8 to Windows 10 and none of it worked for me. I finally gave up and called Fujitsu support. They were really great. This is what I was asked to do and it worked first time. Good luck! 1. Double click on the downloaded file on your desktop. 2. A black command/DOS prompt box will appear, extracting files and creating a folder labeled ‘ScanSnap’ on your desktop. 3. Go into your ScanSnap folder and right click on the Setup.exe file then select ‘Run as Administator’. a. If the Administrator option is not available, simply double click on the Setup.exe to run it. 4. Follow the on screen installation prompts. 5. Before rebooting look for the ScanSnap Manager Icon in the bottom right corner of your screen by the clock. a. If the icon is located, right click the icon, mouse over ‘Help’ and click on ‘Online update’ – then download and install updates. b. If the icon is not found, please launch ScanSnap Manager from your Programs area, then take the above steps. 6. After the online update, reboot. 7. After rebooting verify that your Anti-virus is still disabled and that the ScanSnap Manager icon is in your tray by the clock. 8. Plug in your scanner and let it install. If any addition ScanSnap Softwares are required such as ScanSnap Organizer or Cardminder, please fill out the following form in order to have these applications emailed to you for download. For most recent information you have to pay a visit world-wide-web and on web I found this website as a best website for newest updates. I have been using ScanSnap S1300 for 5 years perfect… well until my computer did the Windows 10 update on it’s own… now my scanner won’t connect. I’ve uninstalled and reinstalled the drivers twice. They work good until it goes to sleep or shuts down, then nothing again. Any suggestions??? I need my scanner and this is crap! I am not able to get the ScanSnap Organizer to install. I continue to get an error message that says it can’t be installed, “This product is not available for installation on this computer”. Even using the compatibility troublshooter to install it doesn’t succeed using Windows 7 and earlier compatibility settings. I like the organizer and wish I could somehow get it to install. Running a Fujitsu Scan Snap S510 on Windows 10 using Scan Snap Manager Version 4.2 L31….works like a champ…no problems…. Upgraded from windows 8.1 to 10 on HP Pavilion 23 all in one. ScanSnap s1500 was working perfectly before the upgrade. Scanner did not work after upgrade. Un-installed Scan Manager and drivers. Re-installed latest software at 22/04/2016. Worked again until I shut down. After start-up USB detects scanner but Scan manager program does not respond. Tried everything. IMHO I believe this is a Fujitsu software issue with USB hub. Given up as I don’t have time to waste on this. Same issue with S1500 and Dell Lattitude. I use a hub, but I stopped due to these issues and I’m plugging it directly into the computer. But I’m still having troubles. Rebooting seems to work most of the time, but not always. Been using the SnapScan 1300i since Defc 15. It’s working great!!! Well – it worked great with my Win 7 laptop. Can’t get the install to work on the Win 10 laptop. It starts the install – then just stays at the “start up initializing” or whatever the first screen says. It seems like it tried installing b/c the apps are now listed with all the other Apps. But when I try to run the software – I get “You do not have the authority for the installation folder. Make the selected folder writable.”. I’ve checked the site and what I’ve found to correct is to uninstall and reinstall. While the apps do show up listed with all the other Apps – they are not showing up under Apps/Programs in the Control Panel so I’ve got nothing to uninstall. I have been a Scansnap user for almost 8 years now. After recently moving to Windows 10 I began experience the intermittent issues described here. I have performed all updates to both Windows and the Scansnap software, with no long-term fix. There is no apparent rhyme or reason as to the cause of the failure to scan (except for the cryptic “The specified destination (Image Saving Folder) is invalid” error message). The destination indicated in the Scansnap Folder Settings is legitimate (“C:\Users\myusername\Desktop”). Sometimes it works, sometimes it doesn’t. WTF? So, I went back to “right-clicked” the “SnapScan Manager” and then picked “Scan Button Settings”, and under the “Save” tab I changed that to the correct path to match the other section. Then the scanner opened the correct folder to save too, with no invalid window. This is a strange problem, but when it happens, this seems to be working for me now. I’ve been using the S300 since 2010, I’ve used it on WinXP, Win7, and now Windows 10. It may not be officially supported on Windows 10, but I’ve not lost any functionality or features with mine. Tried the special support tool and got a “Program’s Operating Environment is Unstable.” There are no strange programs loaded; mostly MS progs and other mainstream things like browsers. I am having a problem with the Scan button when the scanner ix500 is connected over the wifi. When I press the scan button, it flashes four times and nothing is scanned. I have Windows 10 and scansnap manager is running and connected to the scanner. I can successfully scan from scan manager while on wifi or if I connected the scanner directly over USB, the scan button works fine. I have the same issue. Were you able to get it resolved? I even uninstalled and reinstalled ScanSnap Manager. The iX500 will scan when pressing the button only when connected via USB. If I am connected via wifi (the ScanSnap icon in the system tray shows with a wifi connection), the button just flashes 4 times. I am only able to scan if I right click on the ScanSnap icon and select Duplex or Simplex scanning. I’m also on Windows 10. I have Windows 10 64-bit, with a ScanSnap S1100. I have a KVM that I use for my desktop and laptop. My ScanSnap is connected to a 4 port powered USB hub. It is a Vakoss and has been very reliable. Because of switching through the KVM, I believe, I frequently lose connection to ScanSnap Manager. The last few days I was unable to reconnect until I did the following. This assumes that you had it working at some point. Use the Scan Snap Support Tool and Recover Scan Snap Connection. Driver should start loading. In my case it continued to fail. When clicking Troubleshoot, it would go through the routine, tell me to reboot, but it would still say the driver was not loaded (“ScanSnap S1100 doesn’t have a driver – Not Fixed, Your PC needs to be restarted – Detected”). I would see my ScanSnap in Unspecified section at the bottom. Navigate to the C:\Windows\SSDriver\SSMini directory. Right click on S1100-x64.inf and select “Install”. The driver should now be loaded. This worked great for me when moving to a USB3 hub! I have ScanSnap IX500. Ever since upgrading to WIN 10 when scanning larger documents (more than 10 pages) the computer shuts down and automatically reboots in the middle of the scanning job. does anyone else has this problem? any solutions? I have a SnapScan S1300i – cannot get it to work with windows 10. Have tried re-installing drivers, doing all online updates…everything. My most essential peripheral is now useless. Any recommendations of other scanners to try with Windows 10? I installed Win 10 several months ago on my notebook and my ScanSnap S1500 is working perfectly. Guess I was just lucky? Very Critical Point for anyone having issues in getting their ScanSnap S1500 working under Windows 10 is the Account Type used. If you are logged into Windows 10 using a Microsoft Account you MUST change to a LOCAL Account Type. I don’t know what that means (local account). I am the only user on my laptop, now running Windows 10. I have full user privileges. Once I upgraded from Windows 7 to Windows 10, my ScanSnap Manager stopped working. I’ve upgraded the software, run all the tests, deleted/reinstalled driver, changed cables, etc. NOTHING WORKS! What can I do now to get this essential device working again? Had a devil of a time getting my Scan Snap S1500 to work under Windows 10 …. in my case the solution is simple. 1. uninstall all the ScanSnap applications and REBOOT immediately THEN after login make sure to delete any PFU references found in your system. You will find PFU references in Programs Files (X86), in [users]your account\AppData/Local and Roaming folders — Make sure that your S1500 Lid is closed in the down position. 4. REBOOT then login to your Local Account and wait for 3 minutes after which you can now Lift the Lid on your S1500 …. you should now see a notification that your S1500 is ready to scan. 5. Close the Lid and now proceed to install the rest of your SnapSan applications you rely on. 6. Test your S1500 to make sure all functions you rely on are working to your satisfaction. 8. Once in your Microsoft Account Test again. I can’t get the ScanSnap Manager V5.1L30 driver to install on my SurfaceBook. It downloads fine, then runs thru the install process in a DOS looking window, but at the end of it all, nothing is installed. I have tried several times with the same result. Have a S300. Fresh Windows 10 machine. Installed the S300 using the installer from the Fujitsu website. Followed the instructions and results is a working S300 under Windows 10 32bit. V4.2. No problems so far. ix500 ran flawlessly under win7, usb wired to computer. Since the win10 upgrade, the connection is wonky and unusable; haven’t been able to make a searchable pdf scan at all. I have reinstalled the software, am using the latest version (downloaded), etc. No joy. I was very glad to stumble upon this site and discover other people having the same problem. I will now try the File Repository cure. I do agree that Fujitsu has made a major mistake. Did finally get it to make a pdf, then scanner disconnected and has remained disconnected ever since, despite reboots, etc. Running SSDrvRepair- x64.exe simply produces a popup saying the scanner is not connected. Similarly, Windows shows a scanner logo for the ix500, but says it is not connected. Yet, how could it have scanned a document if it was not connected?? I have a scansnap s1500. Worked for awhile under Win 10 but stopped working after the win 10 upgrade. Error message says no drivers present. Uninstalled and fresh reinstall from factory CD updated and same error message looks like Win 10 removes the drivers for the s1500. I haven’t tried tinkering with permission yet. Maybe tomorrow. such a pain! After installing BitDefender (coincidence?) on a Windows 10, my IX500 is giving me the invalid destination directory error message (even if I select Desktop) as my destination. Double check your ransomware protection. Allow scansnap. I had the same issue when i installed bitdefender and low and behold, i checked the bitdefender settings and it had scansnap blocked . I unblocked it and scan is now working again. After loading Bitdefender, on Windows 10 using IX 500, I am getting the invalid destination folder message (even if I select desktop). I have a scansnap ix500 and am running windows 10. The scansnap manager appears incomplete and it is only showing the upper left hand portion of the entire manager screen. I am not able to change settings (e.g., where the documents are stored) or make any changes that typically would be in the right hand or lower portions of the manager box. I have uninstalled and reinstalled the software and there is no change. Any suggestions would be terrific. I’m having the same issue. Did you find a way to resolve this? I have the exact same problem. I cannot change settings in the manager because they are not visible. Only the top left 1/2 is visible. Running ix500 on Dell XPS15 4K display, Windows 10. Is there a fix for this? Same problem here. App just wasn’t designed to handle hi-PPI display. Sloppy for a scanner! Same issue on a 1500 on windows 10. Scans fine but can’t change auto rotate setting because I can’t see it in manager menu. Have run the latest fujitsu driver update but still no dice. Since upgrading to Win 10, my iX500 and Scansnap manager has slowed so much it is unusable. I have scanned 100,000 documents on Win 7. I have contacted Fujisu and carried out all of their recommendations (uninstall, reinstall manager, disc clean up,) all to no avail. I had scanned about 50 pages with win 10 with no problems, then it slowed down. I now struggle to open manager, and I have to press the scan button(some times the light flashes once, sometimes 4 times) several times before it eventually feeds the pages through. Having read the comments below I have reinstalled the software using Win 7 compatibility mode, no success. All Fujisu can suggest is a clean install of Win 10 , I’m not sure that will solve the problem, and don’t want to go to all that effort without some guarantees. Anyone any ideas as to a solution. Daryl, did you ever get your iX500 working reliably under Windows 10? I have researched to no end, and you are the only person I’ve found who is having the exact same problem as I am … where the Scansnap works, but very slowly. When trying to left click on the Scansnap Manager to change a profile, it takes over 10 seconds for the menu to come up. It used to take 1 minute and 15 seconds, but it’s down to 10 seconds after trying all the suggestions in this thread (reinstalling, changing permissions, etc.). Likewise, it takes 10-15 seconds for the scan to start after pushing the button. Under Windows 7, the scan started immediately, and I didn’t have problems with the left and right click context menu taking forever to pop up on the Scansnap Manager. Thanks for all the ideas in this thread. I am having the exact same issues as described here. I would love to find a solution as it is wasting soooo much time. Shelley, I have exactly the same problem with my IX500 Win10 since this week. Scansnap Manager hyper slow. You have a solution? I called Fujitsu and the solution to the super slow ScanSnap manager was very simple. Mine was on detail and as soon as I change it to normal, and then rerun the ScanSnap Manager app, things were back to normal speed. two new win10 computers with ix500, both would lose communication after several hours that could not be restored without reboot. Tried setting win 10 power to always on, no change. Solution was to uninstall scansnap manager and re-install using win 7 compatibility mode. Has been flawless since. browse to scansnap cd> software> right click setup.exe select troubleshoot compatibility> troubleshoot program>worked on previous version>win 7 > install and confirm. I found the usbscan.sys file in C:\Windows\System32\DriverStore\FileRepository\sti.inf_amd64_1a1c37966f0bcaba and copied it into C:\Windows\System32\drivers, did a reboot and my scanner started working again! Awesome thanks for the tip Chris. New install on new Windows 10 computer. The S1500 software download V5.1L30 from the Fujitsu site will not run. You have to have it to make the V5.1L81 update run. I’m stuck. Worked great on Win 7. I’d reach out to Fujitsu’s chat support at http://www.fujitsu.com/us/products/computing/peripheral/scanners/contact/main/scanner-index.html. I’m sure they can hook you up. I just updated to windows 10, and updated the drivers for my IX500. After some Bitdefender-related hickups, I managed to get it to work. However, when I try to delete a scanned file in the Scansnap Organiser, Windows 10 plainly states that I have no permission to delete the file, even though I have full administrator rights over the folder. Anybody know how to solve this? I was having the same problem, and I found this post on another website. It worked for me. Indeed, its the preview pane. What a maddeningly simple way to waste a lot of time, arg. Thanks for the tip . Assuming you’re in Windows (8, 8.1) go into View in the folder, click on Details Pane instead of Preview Pane and you can delete the file in question. I have a strange problem with my scansnap S1300i in Windows 10. When I try to scan to e-mail it gives a error that outlook is not set as standard program (and a popup sending to e-mail failed and was cancelled). But I have set outlook as the standard program so I don’t know what is wrong. On another windows 10 program I don’t have this problem. I’m using the S1300i. ScanSnap manager stopped working after installing Windows 10. Ran ScanSnap update, which had no discernible effect. So I uninstalled, then installed the latest version (V6.5L20). It worked fine for several days – until this morning, when an error notice appeared on bootup saying that Manager would have to be uninstalled and reinstalled again. I had the same problems with my scansnap ix500 for weeks with windows 10. Unistalled, reinstalled new version. Nothing worked. It worked when connected via USB, but wireless would not work, ever. But then I checked the firewall. I turned it off. tried to scan, and it worked! So i turn on the firewall and made sure Scan Snap was checked, so the firewall would let it through, and now scan snap works great wirelessly. Thanks for the tip. In my case, scansnap was connected to the scanner over wifi and I could scan if I initiated it from the PC, but pressing the button on the scanner resulted in it flashing a bit and then nothing. But turning off the firewall is not a great solution to a scanning problem. I dug a bit deeper, and it turned out that my wifi was connected as a Public network, and by changing that to Private in windows network settings, it all worked with the firewall turned on. Which is a good thing, because disabling the firewall is not something you want to do unless you really know what you’re doing. I have finally managed to get my Snapscan ix500 to work, along with Snapscan Organiser. It seems to be related to Permissions in Windows 10. Give full access permissions to Everyone to the folder where Scapscan Organiser does its stuff. That seems to solve the unable to save issue. Hope that helps people. Permissions appears to be the key. Opened the properties section of the install folder and changed permissions.. Tested and works like it should. Enabled Automatic Startup in Tasks and now I don’t eben have to reboot to have the program work.Thanks for the help. Thanks for the report Dave! My ScanSnap 1300 worked almost flawlessly under Windows 7, not so great under Windows 10 upgrade. Was a major headache for me. Uninstalling and installing numerous times. At one point, the software left me in a catch22, would not uninstall the upgrade until I uninstalled the original. Huh? I had to go back to my original CD. Found a great tool, SSClean.exe. This allowed me to uninstall existing program. Then I did an install from original disk, then the update. Worked the first time I lifted the lid of the scanner. After that though, No Worky. This was the only constant. I refused to have to reboot each time I wanted to scan something. After a week, and by chance, I looked at the Administrator privileges. User privileges were limited. I edited the privileges to match Administrator but, still does not work correctly. What I do now….Open the lid of the scanner, Right click on Scan Manager and click on Run As Administrator, scan the items and then have to exit the program. This is done each time I want to use the scanner. Better than rebooting. There must be an answer in here somewhere. Since the Windows 10 upgrade my S1500 hasn’t worked. The light comes on, shuts off after a few second and the ScanSnap Manager application shows it is not connected. I updated both ScanSnap Manager and Organizer after Fujitsu’s Compatibility Status announcement. Still didn’t work. So I uninstalled, reinstalled and it still no luck. I contacted Fujitsu’s Technical support and was pleased to speak to someone in the USA who was very helpful. However, my scanner still wouldn’t work and they put me on with a Level 2 Tech. In Device Manager, right clicking the scanner and going to properties the “Device Status” window showed a “Code 28” error and something to the effect of “an interactive window is required”. The Level 2 tech went to C:\Windows\System32\DriverStore\FileRepository, right clicked the “s1500-x64.inf_amd64_ff718616e5120c3b” folder, clicked Properties, then the Security tab. He had to change the permission on the folder to allow everyone to access it. After that, he selected to reinstall the driver from the Device Manager window and my scanner now works. Hopefully this will help someone else! I have a ScanSnap S510 which would not work with Windows 10. Uninstalled Manager for S510, disconnected scanner, installed ScanSnap Manager for iX500 scanner and reconnected S510. Scanner now works fine. Organiser for S510 works fine too. Thank you so much for sharing this. I have gone round and round with Fujitsu and all they tell me is that my S510 is no longer supported. I had a problem with this as this scanner is still working perfectly. Will try this technique for sure. Found this out by tryin’ for my S510 on Windows 10 too. I to am going through the Specified Destination ( image saving folder) is invalid problem . I have tried the saving to desktop . I have tried the permissions thing . I had my Friend our I.T. guy at work have a go via remote and he got it to work all be it that between scan to organiser there was a couple of windows pop up that never did before. After he got off , the notification that there was an update came up so I installed it , then it went back to the same problem . I can`t work it out to get it back to where it was before the update being of very limited computer geekdom . I will get my bud back on to see what can be done and when he does make some notes and gladly forward them back here . Hopefully though ,there will be answers to this problem sooner . If you haven’t already, it may be worth you (or your buddy) reaching out to Fujitsu’s support. Especially now that the update is available. You can reach them at http://www.fujitsu.com/us/services/computing/peripherals/scanners/contact/index.html. Hopefully they can help too. I didn’t read this post the first time around because I had not updated to Windows 10 at the time. Then I updated and forgot that there might even be an issue. It took me a bit to get things going but I attributed that to not having had the Scansnap 1300 in use for a long time. Then I started on a photo scanning photo project (I’m visiting my sister for an extended time) and have scanned a couple thousand photos already with no big issues — and I just expect little issues with any tech item (I am kind of the klutzy tech type). So at this point, I am wondering if I even need to download the updated drivers? Since I’ve had none of even those little issues for the last thousand photos. But perhaps it updated automatically? Now you have me wanting to get back to the scanning project just to check on that one. If it ain’t broken – don’t try and fix it! I would leave alone until/if you get a problem. Hi everyone. It looks like Fujitsu has released the new drivers. Check your Online Update and/or the updated links in the post. Please let us all know how it works for you. windows 10 upgrade turned off my scansnap iX500 and the scanner on my HP Officejetpro 8600 premium. I am not pleased but expect or hope that there is a fix for this, Scansnap update? It has also removed the icon from bottom..
My S1100 works well with Windows 10. However it will then stop working and fail to connect to the ScanSnap Manager. The ScanSnap troubleshooter is no help. A reboot solves the problem… until the next time. Irritating. Installed Windows 10 last week. Scansnap S1500 was working before upgrade, but not after. Uninstalled and re-installed the program, it started working again. Coworker also had the exact same issue and solved through uninstall/reinstall. I just upgraded to win 10. my scansnap s1500 stopped working. The blue light comes on but switched off in about 10 secs. Thanks for your suggestion. I did the ‘online upgrade’. (http://www.documentsnap.com/scansnap-windows-10/). Now it is working. W10, Scansnap S510, work horse! Out lived my computers? Don’t you think I’d PAY YOU FOR THE DRIVER? Wake up! You’re terminating satisfied customers. Produce my driver & charge me for it. I’ll pay. I fixed the “The specified destination (image saving folder) is invalid” problem by using file manager to change security on the save to folder. 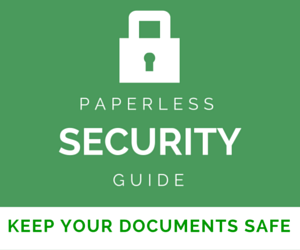 For some reason, Windows 10 must alter security on document folders. Right Click on the folder, Click on the Security tab, Select your user name or Administrators (if you are the administrator on your system), click Edit. In the edit window, select your user name or administrators (if you are the administrator on your system), click the full control box and Apply. It will adjust all the permissions on the folder and any files inside the folder and subfolders. ScanSnap works properly after the proper (full control) permissions are granted. I suppose technically this is now after the middle of August but then so is 25th December so who knows when they’ll make drivers available for a lot of their machines. I have an old S510 chugging along very well in my 2nd office (dining room) which isn’t going to be supported in Win10. I purchased my iX500 as a result of my positive experience with the S510 and wonder if Fujitsu are missing a trick by failing to support some of their older scanners as happy customers tend to buy from companies that support them I would have thought? 1. Turn off and disconnect the S510. 2. Download the software for the iX500–which you already have! 3. Install the iX500 software. 4. Turn off your computer and reconnect the S510. 5. Restart. Your PC will find the S510 and install it. There are some differences I see–namely the iX500 has wireless capability, which the S510 doesn’t have, but at least I am back in business with the functionality that I’ve depended on. My FI-5110EOX worked fine for several weeks after the upgrade from Windows 7 to Windows 10, then without warning stopped working yesterday. Tried reinstalling everything without success. Pity that hardware still working flawlessly. iX500 scans to a laptop PC upgraded to Windows 10; however an error message says ScanSnap was folder not found and allows to browse and select the ScanSnap folder. Then says do not have permission to the folder even though I have administrative privileges to the laptop computer. I have a ScanSnap ix500. It would fail to scan, so I went to uninstall the software and reinstall a new driver to be sure. I uninstalled, then reboot the machine as directed by the uninstall wizard. After the reboot, I went to install the new software and it said that the uninstall was still in progress and to reboot to complete. After doing this 3 times, (each time taking a further step to remove any trace of the program., i.e. deleting the PFU files from program files, and as far as deleting all mentions of the software in the regedit.exe. Please assist if anyone has had and resolved this issue. I have the ix500 and it seems to work great and haven’t noticed any issues. I’ve been running ScanSnap S1300i fine in Windows 10 for a while, but today, I noticed the driver was being installed by Windows 10 as if it had never seen the scanner before. After that the blue light just blinks, never solid. The scanner is connected via USB. My ix500 won’t scan. The icon for the Quick version has the red line through it. I upgraded from Windows 7 Home. I am connected via USB. What makes this more annoying is that I talked to tech support before I upgraded (on a different subject), and, since I had already seen some reports that it wasn’t working with Windows 10, asked. They said it should work. What they failed to say was that there was a fix in progress but it wasn’t yet released. I just did a fresh install of Windows 10 (64bit). I downloaded the latest ScanSnap Manager for Windows 8.1. It installed cleanly and scans just fine….Now to download Abby Find Reader…. I have a scansnapS1300i and I cannot get it to run with Windows 10. I did the update but it still does not work!! The light continues to flash on and off. I did all of the diagnostics and nothing. I love this thing and it worked flawlessly before the Win 10 update! HELP!!!!!!! I can say I’ve been using the ScanSnap ix500 since i upgraded to WIn 10 and after a few small adjustments – some of which I may have had to make when initially installing on Win 8, it has been flawless. I am wondering for those who are having so much trouble, are you using it wired or wireless? I am wired and have not had any issues. I also did a clan install of Win 10. I am using the scan to ABBYY scannable pdf method in the scan button settings (and using only the scan button) and it is working well. I am happy to help anyone who might benefit from me checking on my settings, etc. I installed Win 10 a week or so go and my iX500 never seemed to notice the change. Runs as smooth as ever. Question for those of you with the iX500/iX100 where it “doesn’t work” with Windows 10 – what issue are you getting? The “specified destination … is invalid” message or something else? Automatically, Scansnap organiser kicks in, but any action invoked in that on my machine has zero effect and in fact the scan is deleted. The only way I have found to make it work is to close the organiser, decline the file deletion option and work using the Windows organiser to rename/move files. Cumbersome. I think, but have not tried, deleting all the Scansnap software to see if I can bypass it, but as I have reached a state of being able to function again, I don’t want to risk it all. Just keeping my fingers crossed that Fujitsu produce something soon. I have been very happy with their product until now. Thanks Patrick. I hope so too. In my case I can’t even get the iX500 scanner to make a basic scan. I’m connected by a USB3.0 cable but when I place a page in the scanner and press the scan button nothing happens at all apart from the blue light flashing on an off then staying on permanently again as if it was ready to scan. Usually, when you open up the iX500 scanner in Win 7 you get a notification at the bottom right saying the scanner is ready. This doesn’t appear in Win10. I upgraded to Win10 Pro from Win 7 Ultimate. I haven’t tried re-installing the scanner software and have gone back to Win 7 using TrueImage 2015 to restore to before the upgrade so haven’t messed about with this much as I need a working scanner for work and this was too much effort to sort out midweek. I’ll wait until a proper driver appears. Incidentally, this is the only thing that doesn’t work after the upgrade and I have three printers attached by cable or wireless so this made it even more disappointing as I fully expected Fujitsu to be on the ball with this seeing Win 10 has been in the wind for some time. Before upgrading to Win10 I backed up using Macrium Reflect Free, EaseUS Backup and Acronis TrueImage 2015 just in case. Overkill? Possibly but easy to go back when something like this happens. Thanks for the report James. I agree, it’s a bit surprising/unfortunate. Update…. I let the Win 10 update do it’s thing again and tried using the iX500 to make a scan. Same as before with the scanner looking like it was ready but pressing the scan button only got the blinking blue light again then nothing. This time I had a bit more time so decided to play about and asked the scanner to connect wirelessly. It went through the wireless connection set up process and this time works perfectly. I can’t believe it was that easy and wonder why its taking Fujitsu so long to sort this out properly. Update 2…. My ix500 worked okay for a while but after switching the PC off during a thunderstorm it failed to scan again once the PC was switched back on. I tried the previous trick of connecting to the scanner wirelessly but this time nothing happened. I don’t have time for this faff so went back to Win7 until proper drivers appear. The Fail Award goes to Fujitsu/PFU Ltd. Big time company, small time proactive effort for compatibile drivers for their scanners on Windows 10 . My S1100 and my ix500 don’t work after the free Windows 10 upgrade. C’mon Fujitsu, let’s get with it. The Windows 10 upgrade offer has been out there along time – not like it was a secret or anything – just sayin. No luck getting my iX500 working with my upgraded Win 10 Pro PC. I see they’re saying this machine will be supported after mid August (hello 19th August) but why weren’t they ready for the launch which wasn’t exactly a secret? The iX500 is one of their best sellers and Win 10 isn’t that big a jump from Win 8.1 surely? Frustrating. I have the Fujitsu ScanSnap S1500. A few weeks ago, I upgraded to Windows 10 on a brand new Pavillion computer. (I was using the ScanSnap on a Windows 7 machine from 2011, but the scanner worked great.) After a lot of monkey business with installing the scanner on my new computer (I couldn’t get it to scan wirelessly), finally, I got the scanner to scan. I have one PROBLEM: When the automatic updates for the ScanSnap appear on my computer screen, I am not able to download them. Box reads: ScanSnap Online Update (Not Responding). I have left it for hours, but online updates never respond. I have installed and uninstalled the ScanSnap software SO MANY times; I do not want to have to do this again. Please advise. Thank you! Fujitsu has said mid-August. It’s now mid-August, so hopefully it will be soon! Good tip on changing the folder to Desktop (for now anyways). Thanks Bob! Bob, Many thanks for this. I have made the Desktop the destination folder in settings and it works. However, Scansnap organiser automatically opens and offers the various choices. I have to close that down as none of them now work! It then says do I want to delete the scanned document. The answer is “no”. It sits on the desktop and I can manually move it to wherever. It’s clunky and not very easy, but at least I can scan again. Let’s hope that Fujitsu realises this is an annoyance for its users and does something about it (promised by “mid-August which we are now past), before they move to something that actually works….. Anyway. thanks again for the workaround. This morning my Scansnap S300 worked. This afternoon, it does not work anymore. It that because of Windows 10? My wife installed Windows 10 a few days ago. ix500 does not work. It’s says updates are good. Do I reinstall scan snap next? I did get my S510 to work in Windows 10 but had to remove the scanner from the computer via devices and uninstall the software and unhook usb from computer. Then I reinstall the first version of scansnap software then updated it. Then restarted the computer and then hooked back up the scanner via usb and it worked. Also have an iX500, using the 9.13.75.2 driver. I installed Windows 10 on a reformatted hard drive last weekend. Everything is going smoothly in FileCenter Pro 8. Doesn’t work. Have an S510 model, and the fact that they can’t be bothered to make a Win10 driver means I can’t be bothered to buy another ScanSnap, which is a shame, because I’ve loved this scanner. Guess I’ll have to check out the NeatDesk. That’s a little harsh. The S510 came out in 2007. They can’t support these things forever. I understand what you’re saying though. Enjoy the NeatDesk! My car is a 2001 doesn’t mean I can’t buy parts for it. I think you were being serious, but comparing a car to desktop scanner as it regards the service and support window is ridiculous. I have 3 printers in my home office; one is 11 years old (HP Color LaserJet 4659); one is 5 years old (HP LaserJet P2055dn) and one is 2 years old (HP LaserJet Pro color M475dw). Upgraded to Windows 10 – and had NOT ONE problem with all of these printers. All work flawlessly. Why can’t Fujitsu support their scanners like HP supports their printers? I will NEVER buy another Fujitsu scanner!!!!!!! It doesn’t. Get an error message, “The specified destination (Image saving folder) is invalid. Hmm, go to the Save tab and try re-selecting the directory. That might fix it up. I’m having the same issue since upgrading to Windows 10. I’ve tried all I can think of with selecting different folders and, trying, to ensuring there are no permission issues. Where you able to resolve this? I’m having the same issue. As you can see was trying to use the compatablity install… no joy here! I’m sure it is that the program can not find IE but I can’t seem to get around it. I upgraded right away and outside of not being able to remember how I had things set up (I did a clean install), it has gone really well. Thank you documentsnap for being here to help me remember how to set things up! Now to find that application that can monitor a folder and rename files with data from inside the file…. I upgraded to Win 10 yesterday. My Scansnap ix500 does not work at all with the program. I am reluctant to uninstall then reinstall since I will lose all of my custom settings; but, from the looks of things, I may have no choice. On the positive side, no matter what issues come up with ScanSnap, Brooks is always (in my opinion and experience) there with suggestions/answers to my concerns/questions! Thanks Brooks! After reinstalling Scansnap were there any issues with it due to Windows 10? Were you having issues with any drivers? I’m just curious because I want to know what I may have to look forward to. I would greatly appreciate your input since we have the same model. Having the same problem you are. S1100 did not work after installing Windows 10. Purchased a new ix500 and have same problem. Get message that can’t find destination folder. I have changed folder locations on the Manager and still get the same message. It seems strange that such a widely used manufacturer was not ready when Windows 10 has been in development for a few years. I will not take this new scanner back and trust Fujitsu to handle this promptly. If not it will be returned. After upgrading to Windows 10 late last night (on an older Win 7 machine from 2010, where most of my scanning occurs), ScanSnap would not work this morning. ScanSnap Manager suggested I uninstall and reinstall the program. But I wavered. Since ScanSnap update was not installed, thought that would do the trick. So I installed the Update, but no luck so I had to uninstall and reinstall as directed. Presto! I’m back in business! My S510 is working happily. I’m using ScanSnap Manager V5.1L81 (for S1500) manager in preference to the supplied one though. I also using the S510 under OS X 10.10 using the ScanSnap Manager for Mac Update (V3.2L71) (for S1500M). Back on the Windows side I’ve installed the supplied Adobe Acrobat 8 Standard and updates to bring it up to 8.32, seems to work. The ScanSnap Organizer V3.2L20 works but the interface looks a bit dated. I haven’t tried installing CardMinder. PS. I also installed the Finereader for ScanScnap from the original CD and then installed the ABBYY FineReader for ScanSnap 3.0 (Windows version) Update 2 as OCR and scanning failed without it. P.P.S. Along the way I installed .NET 3.5 (includes previous versions) from Windows Features as without it one of the software would not proceed without it. Thanks for the tips Alex. Will be helpful for someone with an older ScanSnap. Always impressive how those things keep chugging along. No issues here — iX500 also — upgraded from Windows 7 to 10 last Thursday. I have my scanner save directly to a NAS, so if the software needs upgrading or changing I usually have to go in and “fix” that afterwards, but in this case I almost didn’t notice. I had to scan a pile of bills the day after the upgrade and everything worked flawlessly. I installed ScanSnap software for my iX500 on a new computer will Windows 10 last Saturday and had ScanSnap Online Update do its thing and have not had any problems with scans. I installed ScanSnap iX500 on a new hp desktop running Windows 10 64 bit. At first, I experienced no problems. After a week, the Scan Manager would not run. I uninstalled and re-installed the Scan Manager software from the original installation CD. I downloaded and installed Fujitsu’s update software on 5/1/2016. I rebooted and still the Manager will not run. I am using the scanner daily but every time I scan, an error message appears notifying me that the Scan Manager isn’t running. I ignore the error message and continue my scanning project.